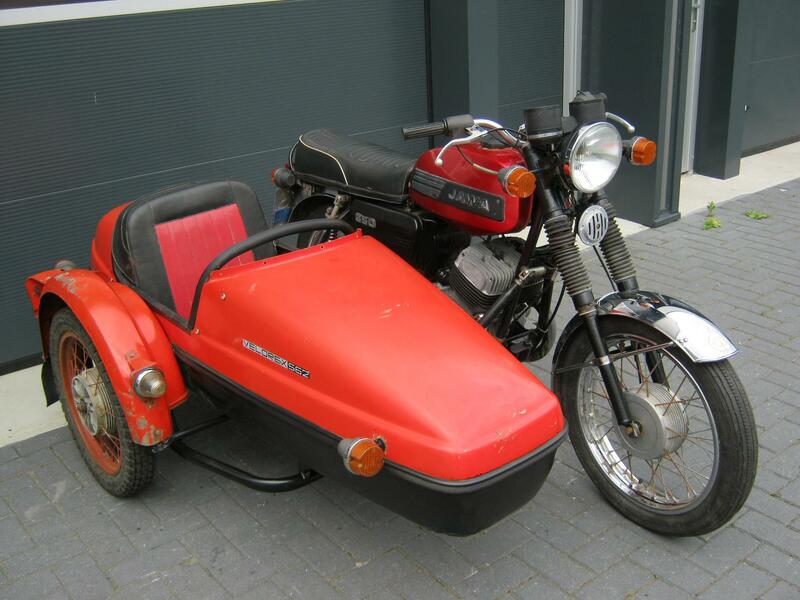 Jawa 350 with Velorex sidecar. Runs very well but needs restauration. With Dutch restauration.